The merry month of May gave a wonderful promise in terms of underwater undertakings. Although I was limiting my travels outside the region, it was not a hindrance as I will be doing my works to assist in the final phase of the Linamon project. Just that the Month of Ocean fell on this month, my underground works relative to the Coral Transplantation in the newly established marine protected area (MPA) in the Linamon waters within the jurisdiction of Barangay Magoong and Barangay Samburon, was dedicated for the marine world. The significance of this last important ecosystem on earth can not be undermined, it is vital in maintaining the biological diversity of our world’s oceans. 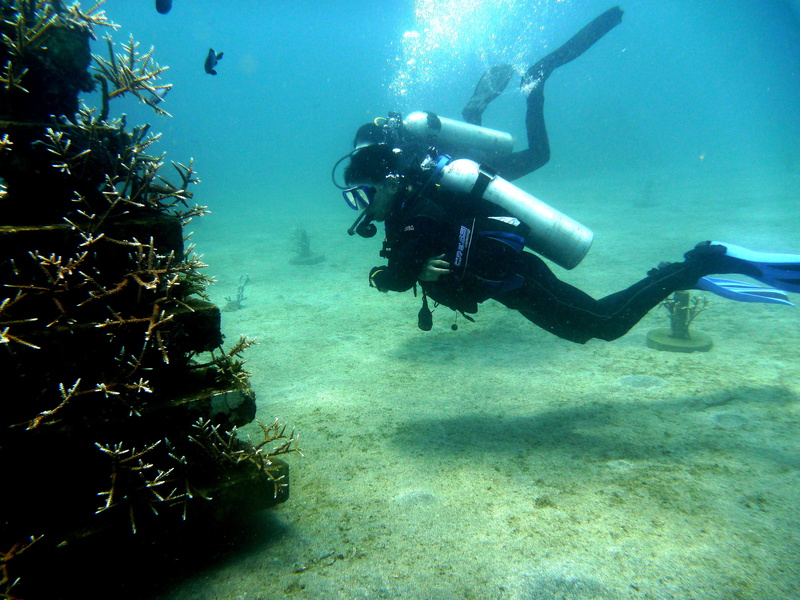 Coral transplantation in the area is success! fishes and other invertebrates. A vibrant coral started to sprout in the substrates, two baby nudis crawling on the module reef, a clown triggerfish roaming around. When two years ago, it was just a bare sandy area with no life at all. Angel and I basked in the clear waters going around the area observing each of the modules, either planted recently or almost two years ago. What a sight while we took a closer look of the substrates just planted, a lionfish hung in mid-water near us as if observing us too! 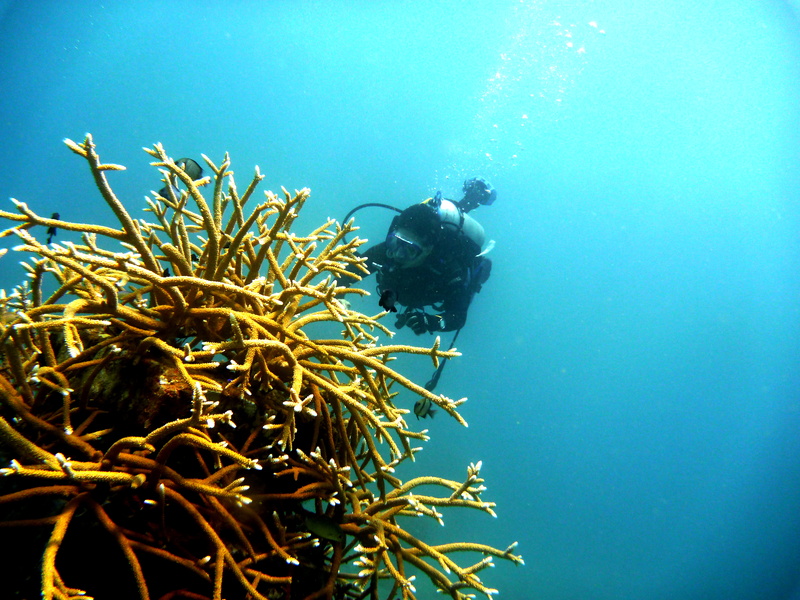 Our dives was for the coral transplantation and clean-up in the sanctuary. 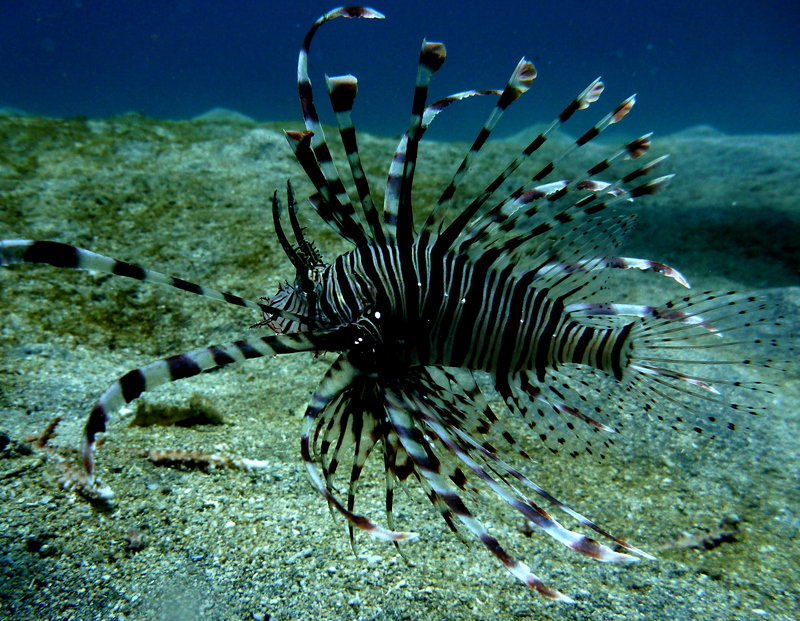 A migrant lionfish swimming coyly near us! The waters is home to me, the ocean a large kingdom filled with colorful life – incredibly beautiful and mysterious! The underwater world is wonderful to behold. This earth’s treasure needs our care and protection. What about you, how do you celebrate the Month of Ocean?